featuring unrivalled cash backs, rewards and other privileges. Live the life you want with one of these cards. Jump into the benefits and privileges fray. Be it redemption, rewards and much more! Transfer your outstanding balances from other credit card/charge card to your RHB Credit Card and enjoy BIG savings with our low interest rates! Transfer your outstanding balances from other credit card/charge card to your RHB Credit Card under RHB Smart Move Balance Transfer and enjoy great savings with interest rates starting from as low as 4% for 12 Months tenure. Need extra cash? Get fast cash from your RHB Credit Card when you apply for RHB CashXcess. Need extra cash? 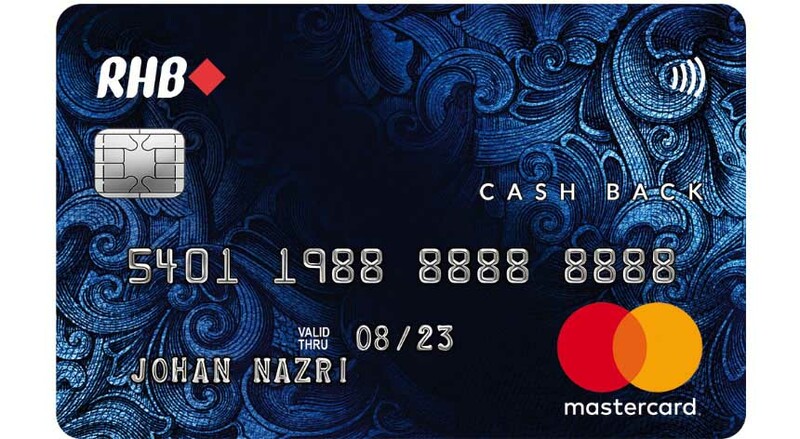 Now, you can get fast cash from your RHB Credit Card. Apply RHB CashXcess now to enjoy interest rate starting from as low as 4.88% for 12 Months tenure. With a minimum spend of RM500, you can now convert your RHB Credit Card purchases into flexible monthly instalments for a small fee. Shop to your heart’s content with flexible monthly instalments. Dial-An-Instalment to convert your RHB Credit Card purchases into affordable monthly instalments. Increase your credit limit today and enjoy greater financial flexibility! For more information, please call RHB Phone Banking at 03-92068118 for Peninsular Malaysia (available 24 hours, 7 days a week), 082-276 118 for Sabah and Sarawak. Enjoy an interest-free monthly instalment plan for purchases over RM1,000 with RHB's participating merchants. Take full advantage of repayments with 0% interest for up to 24 months with RHB Smart Instalment and make your shopping much more flexible and easy on your pocket. RHB Smart Instalment is available at over 70 merchants. For more information, please call RHB PhoneBanking at 03-92068118 (Peninsular Malaysia) or 082-276118 (Sabah & Sarawak), available 24 hours, 7 days a week. Hewlett-Packard Sales (M) Sdn. Bhd. Start redeeming your Reward Points today and experience our comprehensive catalogue of rewards. Our extensive array of products make an excellent gift for you, family and friends! 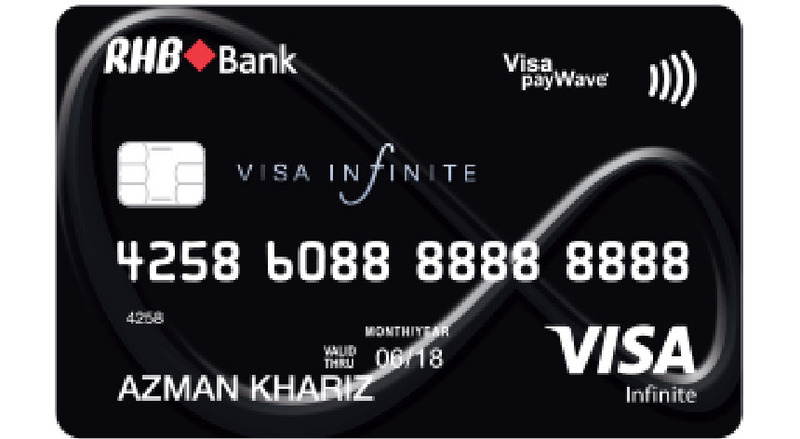 Thank you for being a part of the RHB Platinum and Infinite card programme. As a bank that loves rewarding our loyal customers, we are pleased to reveal yet another round of exciting privileges tailored specially for you. Be it indulging in luxurious moments or surprising a loved one with a heartfelt gift, prepare to be captivated by our comprehensive catalogue of rewards. With style and functionality in mind, this year we have put together an extensive array of products. For jetsetters, take a look at trendy designer luggage bags and back packs that make a statement, while the tech-savvy can enjoy spectacular tech gadgets. Indulge the little ones with our exciting selection of interactive and educational toys. Check out the fabulous selection of kitchen essentials that can make your moments in the kitchen memorable. Scan through the Home Inspiration, Lifestyle & Wellness and DIY Discoveries to add a little magic to your living space. Of course, if you prefer the thrill of shopping on your own, you can always opt for our exclusive range of shopping vouchers. Alternatively, these vouchers make excellent gifts for family and friends! Join our eco-friendly efforts to make banking paperless and enjoy unlimited conveniences with your RHB Reward Points or redeem them online via RHB Now. If you choose to redeem items or meals on-the-spot, browse through our list of participating merchants at the ‘Benefits’ page on our website. Start redeeming today and experience exciting rewards! Aman Palestin is an initiative to assist and channel donations to safeguard the welfare and human rights of Palestinians. Aman Palestin is always working to ensure that every ringgit donated by Malaysians, is not only up to the extent for medical aid but to be utilized in the best possible way in Palestine. 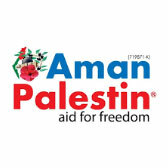 Aman Palestin registrated under the Companies Commission of Malaysia (SSM) under the name of AMAN PALESTIN BERHAD as a non-profit organization to help collective, organized, effective and continuous support to the people who need aid in Palestinian. It is hoped that the ongoing concern of Malaysians in channelling aid can provide hope and help alleviate the suffering suffered by the Palestinians. 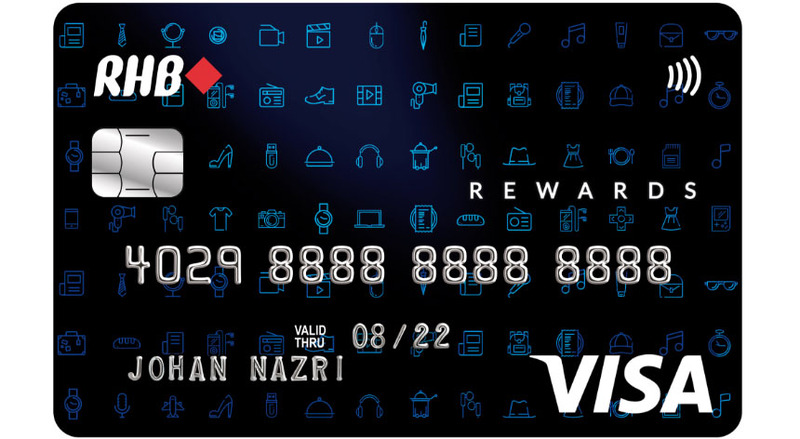 In view to the above RHB has extended an option for all RHB Rewards and Infinite Credit Card holder to donate to Aman Palestin via our RHB Reward Program. You can donate to Aman Palestin by converting your Reward Points via Online by clicking the link below or by sending physical form to us directly. Live up your lifestyle with our specially selected deals. with over 600 billers, DUITNOW, JomPay etc. 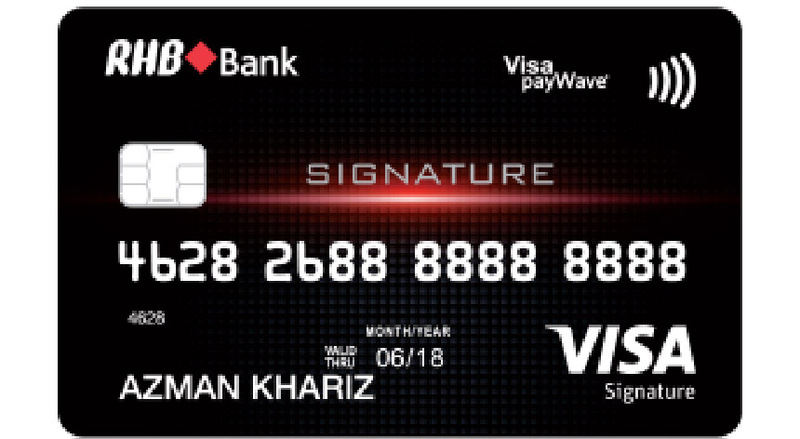 Unlimited access to airport lounges in Malaysia and Singapore (for the first 1,000 cardholders per month). Thereafter, a discount of 25% off the walk-in rates will be charged. - 25% Discount at all Plaza Premium Lounges in Malaysia for all accompanying guests. Please refer to the Terms & Conditions for full details & the list of eligible Plaza Premium Lounges for respective RHB Credit Card. Visit https://www.plazapremiumlounge.com/en-uk for the updated Plaza Premium Lounge locations around the world. - Up to RM2,000,000 Travel Insurance coverage. Please click here for more details. Cash Back excludes cash advance, charity, government and petrol transactions. - 5x complimentary access in a calendar year to selected Plaza Premium Lounges in Malaysia. 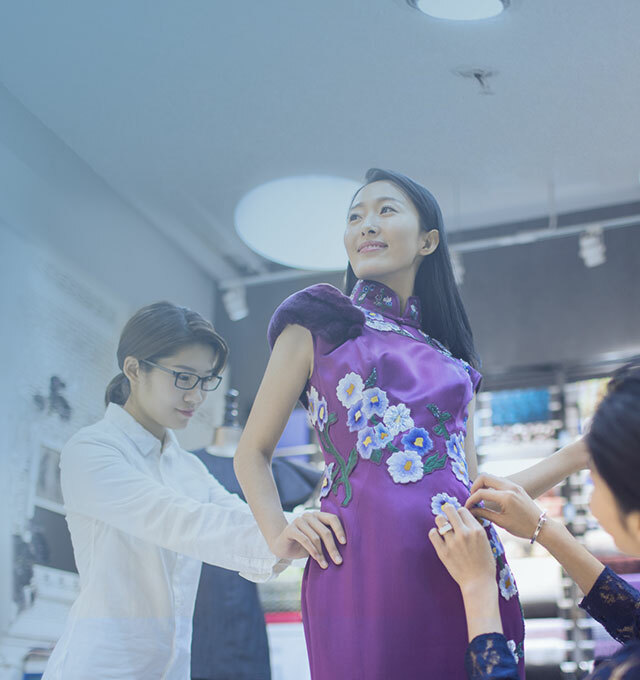 Thereafter, a discount of 25% off the walk-in rates will be charged from the sixth visit onwards to lounges in Malaysia. - Exclusive 25% discount at all Plaza Premium Lounges in Malaysia for all accompanying guest. - Up to RM600,000 Travel Insurance coverage. Please click here for more details. * Overseas Spend is meant for foreign currency transactions performed physically out of Malaysia. Not inclusive of Online, E-commerce, Mail Order Telephone Order (MOTO) and Recurring Auto Debit transactions. ^ Online Spend is meant for all Online, e-Commerce and MOTO transactions in local or foreign currency. ** Cinema Entertainment Spend is meant for any mode of transaction under MCC-7832. The tactical 10x Reward Points is valid until 31 December 2019. Thereafter, it will be changed to 1X unless otherwise communicated by RHB Bank. - First year: No Annual Fees.